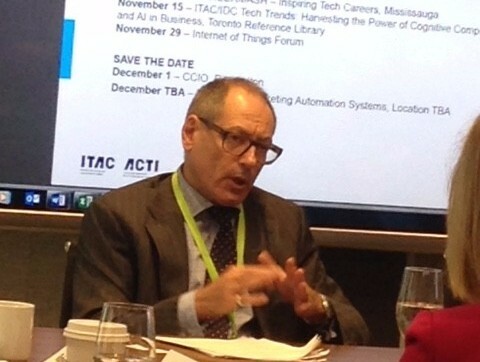 ITAC launched a series of five innovation papers this fall that underscored the challenges faced by the ICT sector. 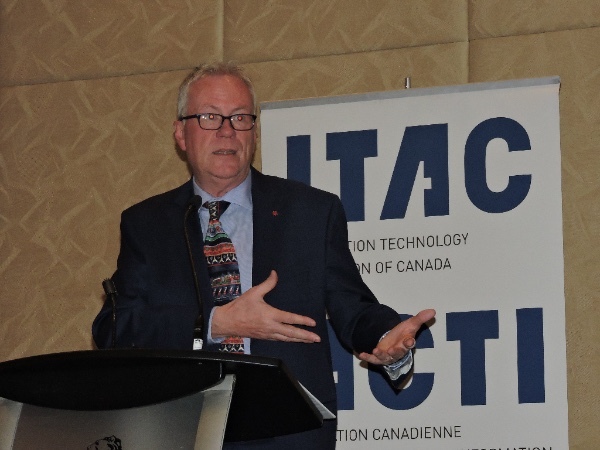 As ICT is the fuel that ignites Canada’s Innovation Agenda, ITAC kicked off the series with the first Innovation Paper recommending fundamental policy changes and investments in four core areas. A circle back with experienced ICT leaders to table plans before they become final. ITAC made seven recommendations based on the four themes put forth by ITAC’s Tax & Finance Committee after a broad consultation with members. These seven recommendations were organized under the four themes of Digital Government, Digital Economy, Talent, and Competitiveness which is consistent with the Ministerial mandate letters. ITAC Talent continued with their success of both the BTM expansion project resulting in over 3,500 students in 20 post-secondary schools across Canada. They also hosted 1300 high school students at the Mississauga Living Art Centre in November for the Inspiring Tech Careers conference. 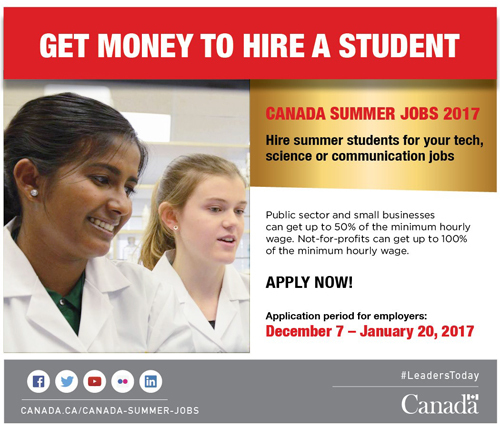 Together, the programs are working to address the skills gap at both the high school level through awareness and post-secondary with the BTM program. In partnership with IT World we are hosting a BTM National Competition. Watch for more information on a newly created BTM Forum – a marquee umbrella organization that provides a variety of services and benefits to BTM-type professions, professionals and educators. These will include publications, conferences and events; educational ‘tuning’ programs; certification services; advancing the interests of BTM-type professions; and the development of occupational profiles and post-secondary accreditation regimes. Launching in early 2017. The imbalance of women serving on Board of Directors of Canada’s corporations continues to persist despite significant evidence that diverse boards are better boards, deliver superior financial returns, and most of the country’s securities regulators have instituted “comply or explain” regulations to begin to redress this disparity. ITAC has created a Women on Boards Registry of women from the technology industry who are qualified and interested in serving on corporate boards has been created and will be updated on a periodic basis. In the spring of 2016, ITAC Health surveyed its members on the topic of healthcare interoperability standards. There were 31 respondents, with an even split between product and services companies, as well as broad representation across all healthcare sectors: ambulatory, acute, community, home, long-term care, and primary care. The survey respondents are market leaders in many of those sectors. On December 15th, 2016 ITAC provided its submission to Public Safety Canada's Consultation on National Security. ITAC's submission [ITAC National Security Review Response] was developed by a working group of members as well as through an in-person consultation session held with three government departments in November 2016. In October, ITAC provided input to Public Safety Canada's Cyber Security review, a process that will establish the federal government's approach to the cyber security industry and innovation for the next several years. The ITAC Federal Cyber Security Review response was created by a working group of over 20 ITAC members from across the cyber security landscape. 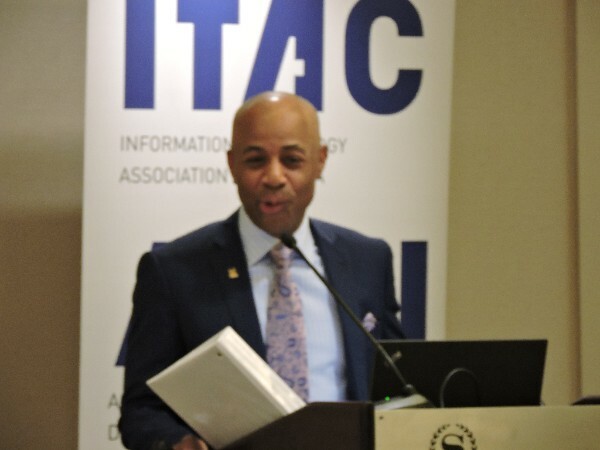 The ITAC response identified a range of challenges faced by industry, including the shortage of cyber talent and a lack of coordination across the federal government. As Ontario’s 2016 Budget and the 2016 Throne Speech made clear, the government understands that Ontario future prosperity depends on technology-fueled innovation. With this focus in mind, ITAC was happy to bring forward seven recommendations for how the 2017 Ontario budget can improve the business climate for Ontario ICT firms, and how the ICT industry can help the government meet its stated objectives. In October, Deputy Minister Gherson from Ministry of Research, Innovation and Science hosted an intimate Fireside Chat with members. A CIO panel session featuring City of Toronto CIO Rob Meikle and three influential CIOs/IT Leaders from City of Toronto Agencies was held in September providing an exclusive opportunity to ask CIOs the burning questions around their priorities and plans facing City of Toronto IT leaders. The Ingenious Awards, our annual celebration of excellence in the use of information and communications technology (ICT) was held on November 9th and honoured several organizations that solved problems, improved performance, introduced new services and grew businesses. Large Public: University Health Network – The Implementation of the UHN Advanced Clinical Documentation Tool for Severe Obesity Care: A Model for Leveraging Technology to Improve Patient Outcomes. 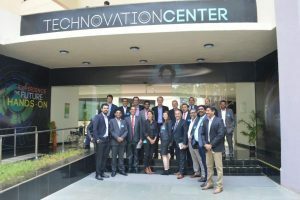 ITAC hosted a trade mission to India in November with 13 Canadian ICT companies. In partnership with the Canadian Trade Commissioner Service and Global Opportunities for Associations (GOA), the mission accompanied Minister Navdeep Bains of the Department of Innovation, Science and Economic Development. Minister Bains and the delegation helped to promote stronger business ties between Canada and India while emphasizing the need for sound immigration policies which create inclusive growth. Together, we delivered the message that Canada is open for business. Copyright © *2016|* *ITAC|*, All rights reserved.